If you’re constructing a Factory Five Racing Mk4 Complete Kit as we are, we’re at the point in the build where the master cylinder reservoir needs to be mounted. Factory Five supplies two nice Wilwood reservoir kits, complete with all the fittings and the hoses for doing the job. Our challenge is that we have a tri-pack, brushed aluminum remote custom brake reservoirs system that we obtained from a well-known street rod suspension manufacturer, Kugel Komponents, sitting in our garage and just begging us to go in our Cobra replica. You have to admit; our custom brake reservoirs do look keen. It's also apparent why they're mounted with that aluminum rectangle. 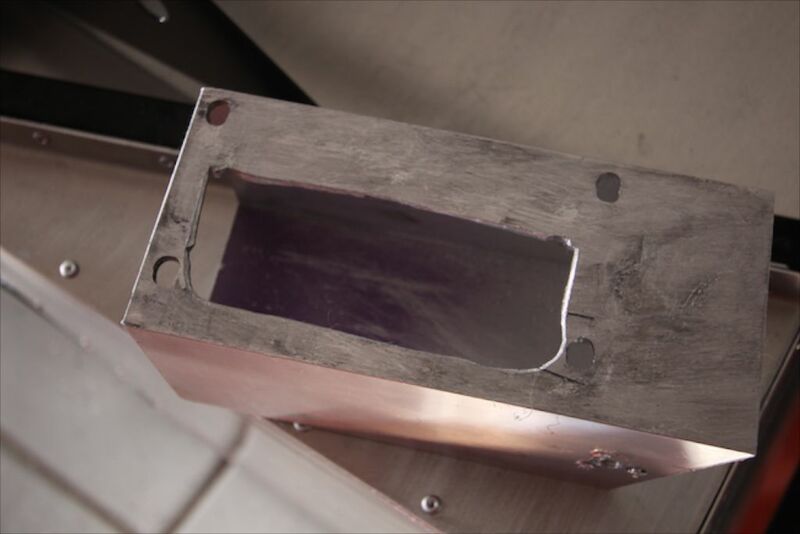 The aluminum block enables our being able to fill the canisters with brake fluid once the body is installed. 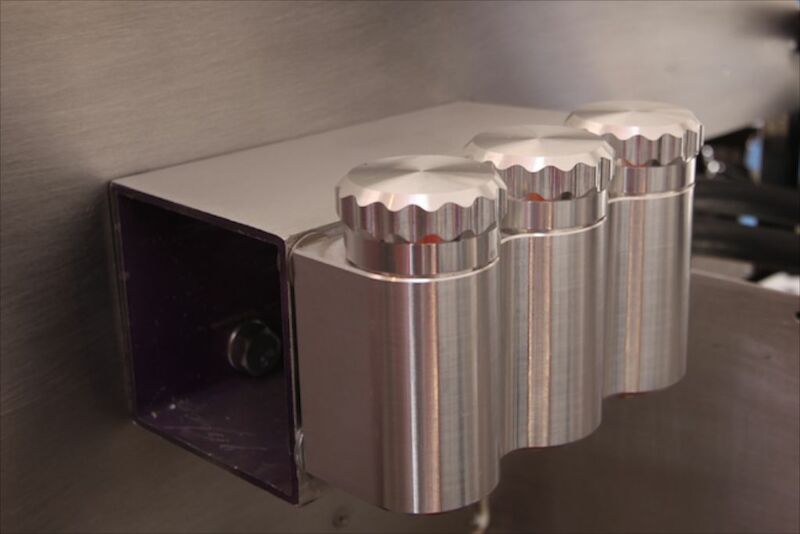 This remote reservoir system would look outstanding mounted on our aluminum firewall, as these reservoirs are also comprised of aluminum. So, after much thought, we decided that we would utilize the remote reservoir system. Mind you, we only need to use two out of three of the reservoirs, since we’re installing a cable clutch system in our Factory Five Racing Mk4 Cobra roadster replica. We’ll need to come up with a suitable use for that middle canister. It’s not quite big enough to house a shot of nitrous. And our engine’s not going to need any additional umph anyway, so perhaps we’ll use it to store a lucky rabbits foot to keep bad karma away from our car. 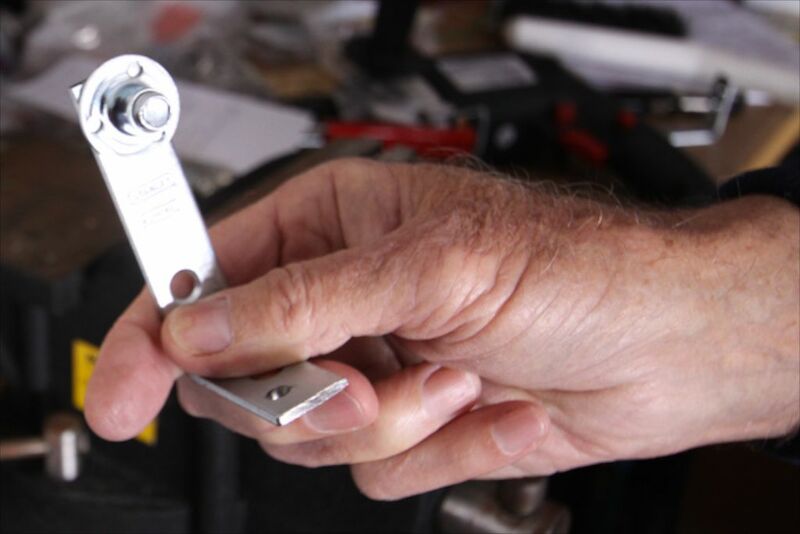 Follow along with us as we custom craft a cool means to supply our brakes with brake fluid. You’ll be able to apply a similar approach to the braking system of your project vehicle, whether or not it’s a Cobra replica. 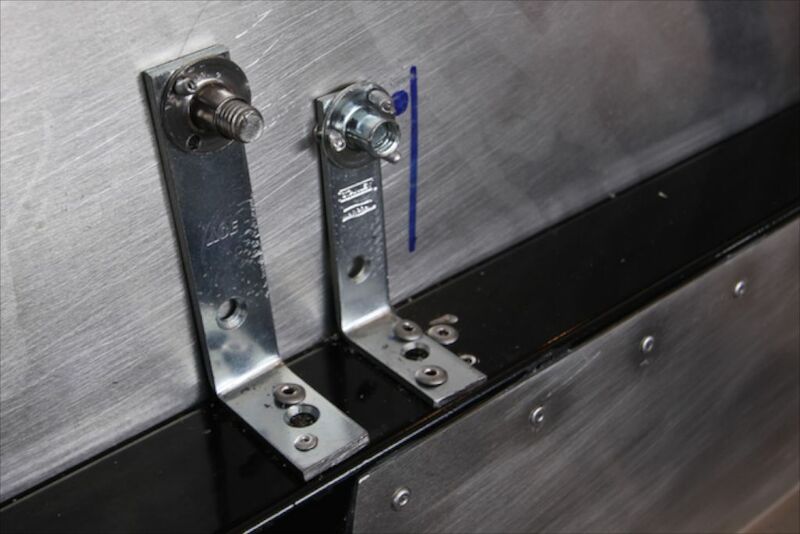 Two L-brackets equipped with two capture nuts will be used to mount our custom brake reservoir system. Bear with us. All will make sense in a moment. 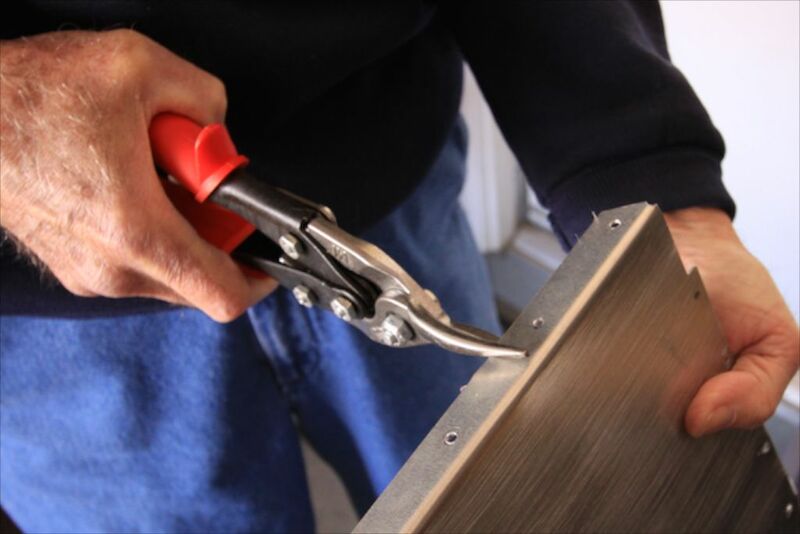 To mount the remote reservoirs on the firewall side, we cut out some aluminum from an unused panel to form a platform mount for the remote reservoirs. 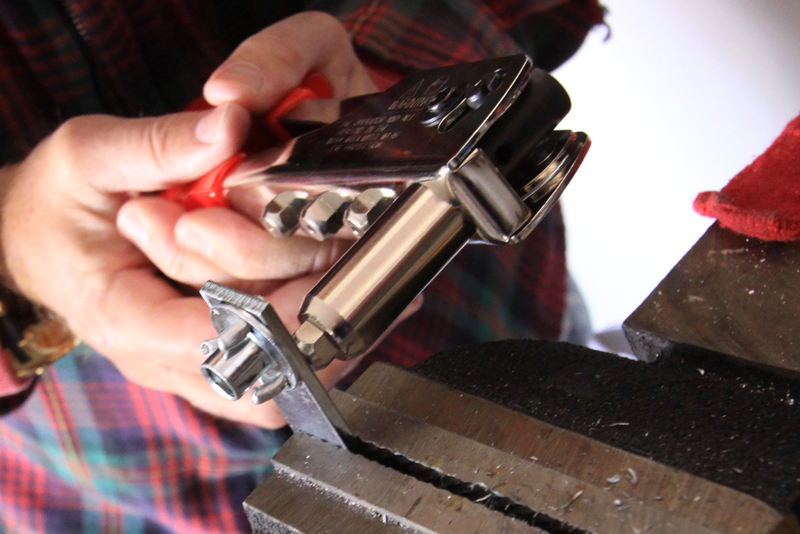 After drilling three holes to mount the capture nut to the L-bracket, we riveted the capture nut to its new home on the bracket. The L-brackets will be behind the firewall in the cockpit side of the car. We'll be installing our custom remote reservoirs on the firewall. Clever, eh? By this point you're probably wondering, "What did these guys get themselves into?" So were we, but please bear with us. This somewhat hollowed out block of aluminum was purchased at a steel and aluminum manufacturer that sells to the construction trade. We hollowed it out and drilled holes in the aluminum to install the brake reservoirs. Stay tuned. Now this picture puzzle is starting to make sense. We installed the reservoir mounting block's capture nut enhanced L-brackets on the cockpit side of the firewall as shown. 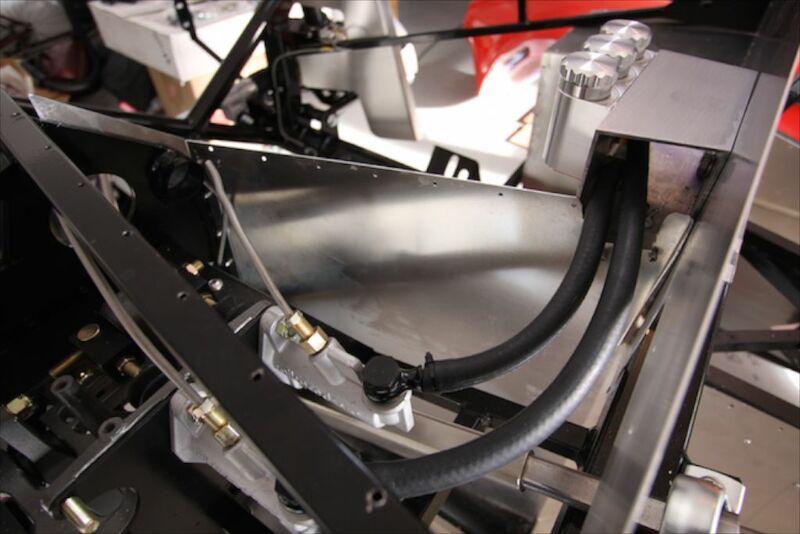 We routed the rubber brake line hoses to the front and rear master cylinders using the Factory Five supplied fittings. Since we needed a bit more rubber hoses, given the different location of our reservoirs, we purchased more rubber hose in the same size that FFR had supplied. FFR advocated using just one master cylinder and routing the rubber hose with a T-connector set-up. With our fancy aluminum reservoirs, we have one canister for the rear brakes and a separate canister for the front brakes. We could use the canister in the middle, if we had installed a hydraulic clutch, but we opted for implementing a cable clutch, since FFR also supplied the cable clutch components.